Summer Beach necklace Murano Glass leaf pendant necklace with dangling matching earrings. 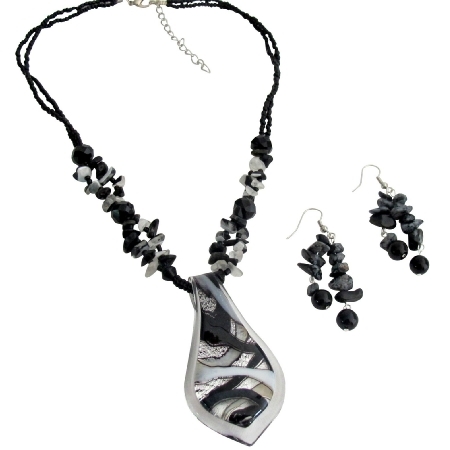 Stunning pendant adorned in black white nugget stone chip with small black beaded necklace. It would also make a great gift.